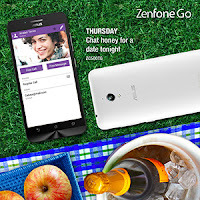 This scorching season, whether it is roughing it up for an outdoor adventure, or simply having a relaxing time at home, ASUS Philippines gives your more than enough reasons to enjoy the summer season without the worry of overspending and cutting down on the fun, with its two summer-ready ZenFone Go variants: starting with the existing ZenFone Go 5 (ZC500TG), and it latest smartphone offering, the new ZenFone Go 4.5 (ZB452KG)! “With the new ZenFone Go 4.5 and the existing crowd-favorite ZenFone Go 5, this new line-up of the ASUS ZenFone Go smartphones really invites users to take a break from their daily regular grind, change to their flip-flops, and ignite the wanderlust they have always had from within,” explains ASUS Philippines Smartphone Product Manager Lenny Lin. These ZenFone Go variants come in six premium, sleek colors, and are perfect for those who are looking for a great-value smartphone that can ultimately keep up with their lifestyles, and make sure that they get the most out of this season, anytime and anywhere they plan to go. “Summer is definitely the time of the year when a lot of Filipinos want to enjoy and have fun, and with this line-up of ASUS ZenFone Go offerings, users can expect an all-around, daily smartphone that they can use to match their unique lifestyles. 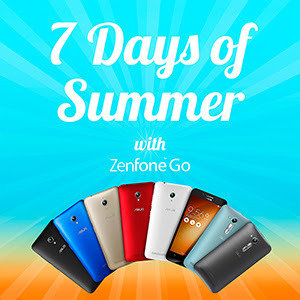 To get everyone’s summer spirits up and at them, we have prepared a special campaign which we have dubbed as the “7 Days Of Summer with the Zenfone Go” that shows just exactly how each variant of the ZenFone Go will be the perfect centerpiece to have an even more incredible and stylish summer,” adds Lin. So sit back, relax and have fun as we give you a quick tour on how you can enjoy your 7 Days Of Summer with the Zenfone Go. This summer, why not make it a point to have ‘manic Mondays’ become a thing of the past, and have a well-planned out schedule for the entire week? 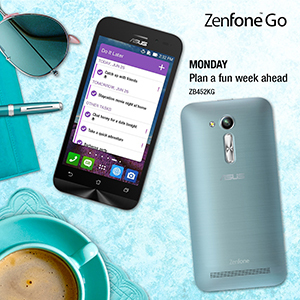 To be at the top of your game all week-long, we deem it best to get your hands on the ASUS ZenFone Go, each packed with a powerful processor that makes it an incredible smartphone for multi-tasking day-in and day-out. 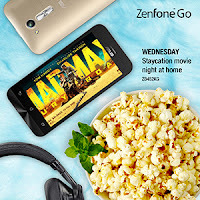 Go for the ZB452KG for a Qualcomm Snapdragon 200 Quad Core Processor, or choose the ZC500TG if you are after a handy smartphone that packs a Quad Core Processor. Because at the end of the day, this much is true – while there are those who believe in having fun in spontaneity, nothing really beats a nifty, user-friendly organizer and to-do list in your smartphone that helps you ease through your week’s plethora of activities. With the summer season clearly in full-swing, there is absolutely no excuse anymore for you not to have a little get-together with friends. Just for today, temporarily say goodbye to those diet plans for your beach body, and lose yourself in endless conversations and laughter over a hearty lunch. But of course, no reunion would be complete without the blow-by-blow updates on social media: switching among Snapchat for goofy videos, food flatlays in Instagram, and groupfies in Facebook. 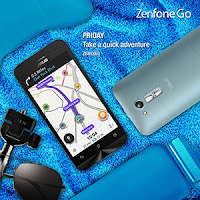 Bottom line is, for these occasions, no doubt that you would want to have the ZenFone Go with you, what its fast social connectivity, all thanks to its reliable Android Lollipop 5.1 OS. As an added bonus, you will be delighted to hear that the just-released ZB452KG makes use of the brand-new ASUS ZenUI, giving users a new launcher, more features, and improved security functions. For those who just cannot bear the rising temperature outdoors, here’s an easy-peasy antidote to beat the heat: go for a staycation instead, and stream your all-time favorite films in your ZenFone Go, right at the comfort of your own home. With the ZenFone Go, there is absolutely no more need to experience long queues and purchase overpriced tickets, as watching videos here will give you the vibe of a personal movie theatre. Enjoy edge-of-your-seat action what with the ZenFone Go 4.5’s bright and clear 4.5-inch FWVGA touch-screen display. While thrilling movies can definitely be watched at the palm of your hands with the ZenFone Go 5.0’s superb 5-inch HD IPS display with vibrant colors and crisp image output. Now, who says hump days have to be so expensive and complicated, huh? February may have come and gone, but that does not mean you can forget about warming up your love life too, right? Keep things interesting beyond those cheesy sweet nothings by surprising your partner with a random chat message, perhaps via an invitation for a mid-week afternoon picnic date at the park. Have an intimate set-up, spruce it up with designs that set the mood even more, and don’t forget about your date’s favorite bottle of wine to top it all off. And while you’re at it, do have the ZenFone Go be on full-display as well to ante up your red-hot OOTD, perfect to complement that sleek look you are going for. Because if you’re really going all-out to impress your date a whole lot more, then might as well showcase the ZenFone Go’s premium metallic design – which is in fact, the only smartphone at this price range out there to have a premium finish like this. With the weekend just around the corner, nothing else quite says ‘summer’ than a road trip with your fellow adventurous souls. As everyone knows, summer is basically the perfect time to escape the hustle and bustle of the metropolis, heading over to a place that gives a vibe of a whole new world. And while this is easier said than done, heading to that destination in the best route possible using reliable, real-time GPS tracking mobile apps such as Waze and Google Maps can go a long way – quite literally. And another crucial travel tip: for the road warriors looking to get away, a handy smartphone that packs a mean battery capacity just like the ZenFone Go – what with its 2,070 mAh battery capacity and all – can be your ultimate savior, wherever your next summer itinerary may take you! Hosting pool-side parties and summer cook-outs with success is a lot easier than most people think. For these summer social occasions, the trick is to just make sure you have the right ingredients on hand: tanning beds for the girls who want to sunbathe all afternoon-long, a variety of free-flowing food and drinks for the boys, and of course, the right kind of entertainment for everyone in the form of your ZenFone Go blasting your group’s favorite summer anthems – all incredibly loud and clear, amidst all the party brouhahas. 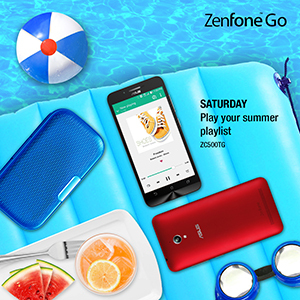 So remember, whether it is in your own backyard, a fancy indoor pool, or a summer resort’s beach-side jacuzzi, a whole lot of Spotify and Soundcloud played using your ZenFone Go can definitely do wonders once everyone gets in their summer groove. And as the days are getting warmer, and the sun staying out a little longer than usual, one cannot deny that most of the time, the best summer memories are from the moments we spend at the beach. There is definitely something peaceful about hearing the sound of waves crashing onto each other, feeling the sand-between-your-toes, basking under the sun, and taking those obligatory sunset shots that make your day complete. 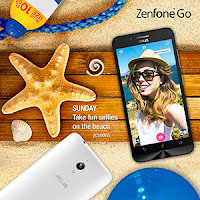 But more than just savoring these precious moments, do yourself an extra favor and go for the smartphone that is ultimately summer-ready: a mobile unit like the ZenFone Go that packs an 8MP camera that can surely take awesome shots! After all, there isn’t quite like a beach selfie to cap off all your summer adventures in a week’s worth, right? The new ASUS ZenFone Go 4.5 (ZB452KG) variant is now available in all authorized re-sellers nationwide for as low as PHP 3,995.00. 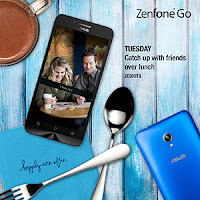 Likewise, the existing ZenFone Go 5 (ZC500TG) variant is still available for PHP 5,995.00.